with swivelling foot, welding version. 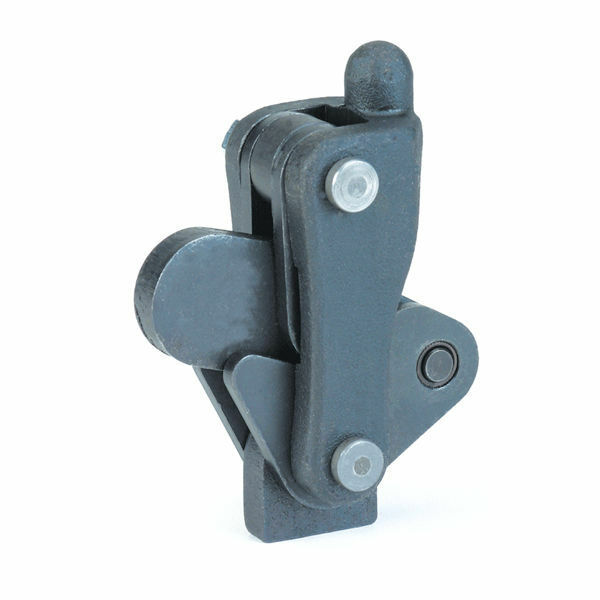 Mechanism can be welded at an angle to it`s support. Reamed and case-hardened bearing bushes. Hardened, ground and permanently-lubricated pins. Clamp nuts on lever arm to vary friction in movement. Materials: steel, blued. Lever arm made of cast steel, blued.